The culture of dispassionate assessment of managers and executive potential is now well accepted. Companies are increasingly able to identify the most promising candidates within their strength, making promotion and replacement planning more methodical. What emerges as a pressing need is the methodical development and mentoring of identified talent. Individuals who are subject to evaluation centre attendance or similar assessment, sometimes against their inclination and frequently requiring them to give of their limited time, can be forgiven for asking, "What happens next"? No longer is it the answer that personalized development plans will be conceived, launched and monitored by the individual's manager. Past traditions of mentoring between an executive and his reporting managers aided by a staffed team of HR professionals have fallen by the wayside. Flatter organizational structures, increased spans of control coupled with minimal HR resource -- all a consequence of business pressures -- have caused this. Also, it should be noted that most management development and training activity is today performed by specialist companies who offer different menus of programs to meet differing needs, frequently to classrooms with attendance from different companies. The individual is asked to bring his last assessment feedback, (or, where this does not exist, to perform an assessment, usually a psychometric test). The individual is guided to recognise himself against the feedback he has received. Frequently this involves recalling behavioural reactions during his work, addressing seeming inconsistencies in his feedback report and self-awareness training. Perceptions of the individual as a peer, as a manager of people and as a reporting manager are then discussed and agreed. The individual's medium term career ambition or objective is then discussed, to ascertain validity and achievability. It is to be remembered that our Consultants are subject to a written confidentiality requirement, and our firm similarly bound by written undertakings not to canvass individuals for alternate employment. 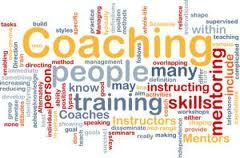 Appropriate management development, work experience or personal training needs are itemized and agreed. Our Consultants recommend likely training regimes, if necessary from the Client Company's accepted curriculum of courses. The need for a follow up session is discussed and agreed. Checkpoints that are to be reached prior to the next session are also agreed. Quarterly and later bi-annual reviews are performed for executive management, summarising the Mentoring services delivered to individuals in the Client Company and results achieved. Discussion of promotion potential and replacement tables can ensue. The individual manager is at risk of feeling that his employer is keen to assess and diagnose his personality, management style and potential, even in semi-public forums, but is not equally conscientious at helping him chart his personal onward development and future success. Mentoring Services free up executive time. They are performed methodically to fit in with the employee's needs. They are performed by our Consultants who have had substantial executive experience, hands-on, in the Technology Sector. They utilise accepted techniques of personal development. They give the individual confidence and a channel to think through his or her self improvement. As a result they can boost morale: for the rising and promising manager, there can be no better proof of the Company's commitment to his or her future. In many cases we find that individual managers appreciate the fact that external Consultants are performing this role, giving them the opportunity to be open about doubts, weaknesses or preferences that they would rather not discuss with company management. 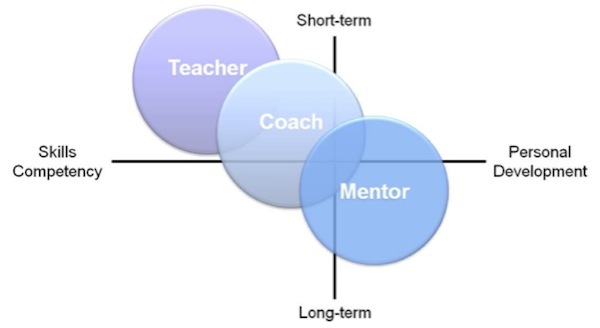 At Hightech Partners, we provide Mentoring Services as a complement to our Assessment and Search Services. They are a natural evolution of our services offering, the result of more than twenty two years of providing in-depth consultancy to our Corporate Clients.